A partnership of regulators and professional bodies in the health sector ran a series of offline consultation events with doctors. They wanted to promote these events and the feedback they generated, in one place online. This would also make their consultation available to those who could not attend an event. 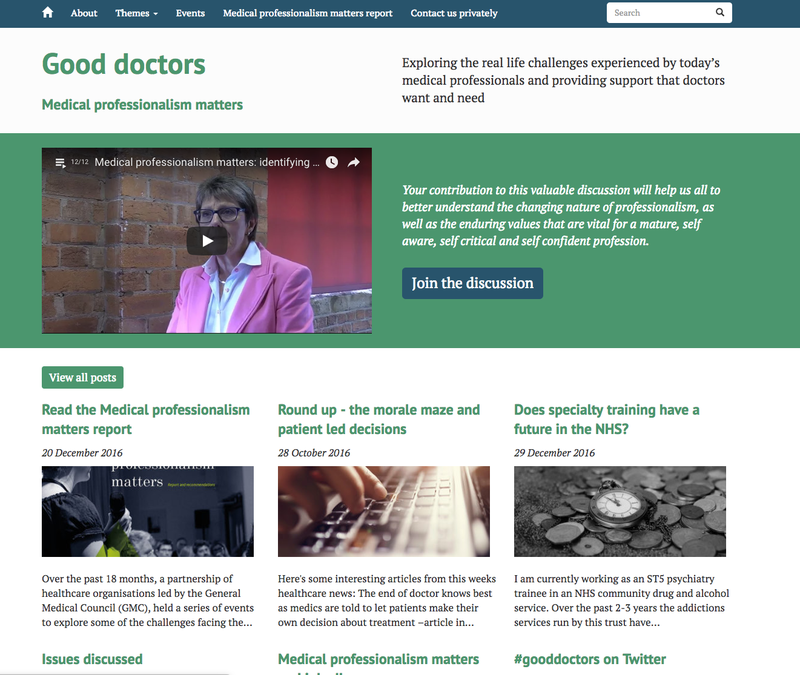 We delivered gooddoctors.org.uk: a website that brought together video from each event, blog posts from the organisers and guest contributors, and a calendar of forthcoming and past events. 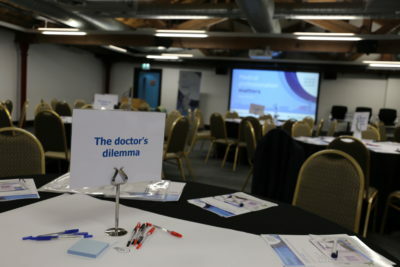 Content was published within themes, and the organisers were able to add to these themes as the consultation progressed. The consultation concluded with a report: Medical Professionalism Matters. This was published as a series of easy to navigate HTML pages, with commenting enabled for each section.